FEA allows for a detailed visualization of where structures bend or deform, and indicates the distribution of stresses and displacements. 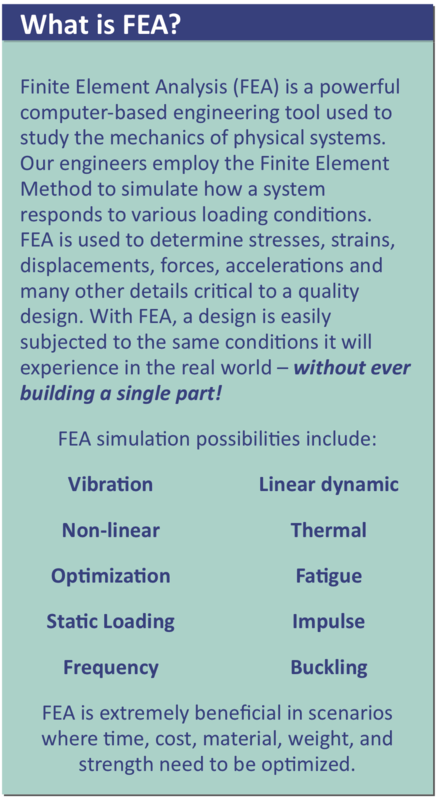 In addition, FEA is capable of a wide range of simulation options controlling the complexity of both modeling and analysis of any design. Our FEA team consists of multiple degreed mechanical engineers and full-time drafters dedicated to providing superior FEA services. 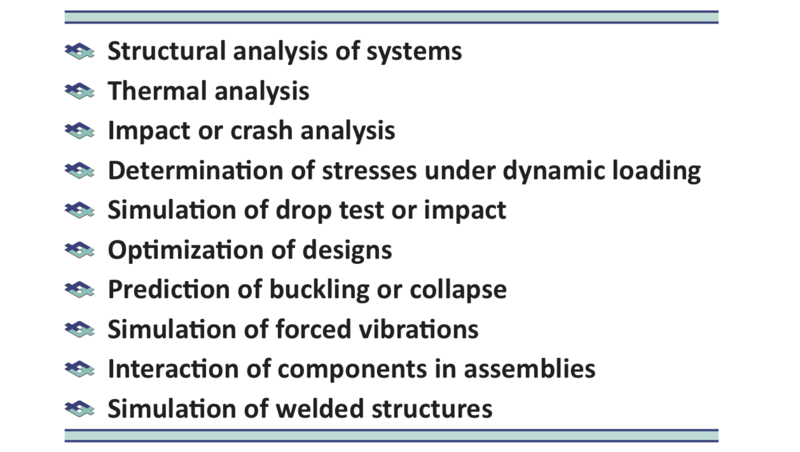 Each of our engineers is experienced in the fields of part creation, finite element analysis and product performance. Every team member evaluates and provides input into each new FEA project in order to guarantee precise, thorough and detailed solutions. No matter your location we can provide FEA services to any of your projects. 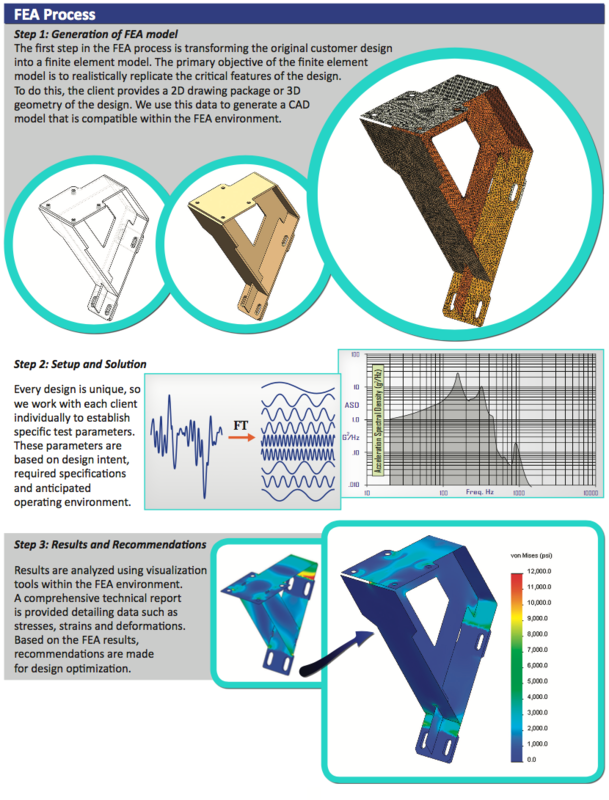 Whether it is a single part or an entire assembly, let the Fathom 4 FEA Team help make your project a success!